£11.4bn in R&D tax relief now claimed – are you missing out? HMRC has now published its most recent R&D tax relief statistics (2013/14), and the picture remains very positive. The statistics show that companies – both SME and multinational alike – are continuing to claim relief on their R&D activity. Since the introduction of the relief over 120,000 claims have now been made, amounting to over £11.4bn in tax relief claimed. Those numbers continue to grow. 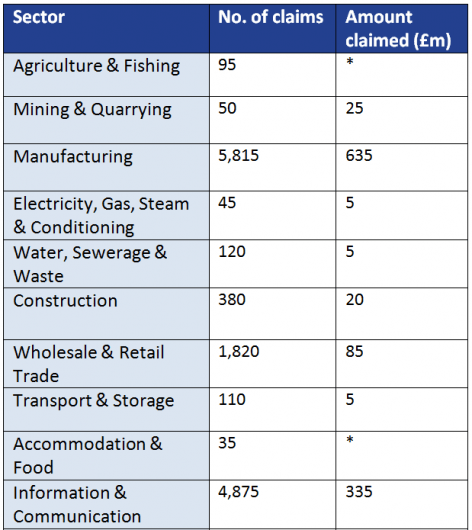 In total there were over 20,000 claims made in 2013/14 alone, with claims from SMEs increasing by 23%. An important point to remember when thinking about R&D tax reliefs is that to claim this relief you don’t have to work in a lab or wear a white coat. This is one of the common misconceptions surrounding the relief, leading to many companies overlooking projects which may have qualified. It is good to see a continuing rise in the number of R&D claims being made, particularly those from SMEs. However, there are still thousands of companies missing out. 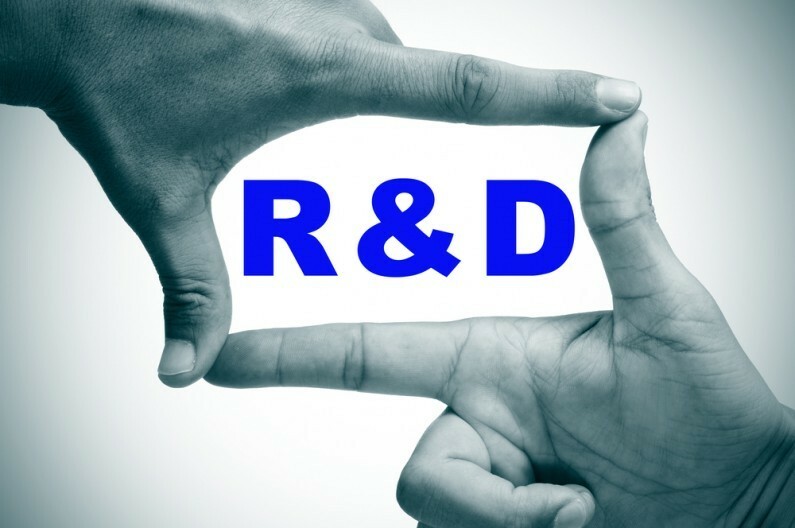 From time to time we often hear people say that R&D tax relief only applies to certain industries, primarily the healthcare industry, or the manufacturing industry. This is not true. We have submitted successful claims for IT & software businesses, food & beverage businesses, as well as the more obvious healthcare, manufacturing and engineering businesses. As the below table highlights, there are a large number of sectors where certain projects may qualify as R&D, so it is crucial that you speak to an advisor to maximise your tax-saving opportunities. With the government fully supporting innovative businesses across the UK, and with attractive corporation tax incentives now potentially available for many businesses, it has never been more important to consider your claims, whatever sector you operate in. In fact, the corporation tax relief could fund 46% of a company’s R&D expenditure. The table below shows a breakdown of R&D tax relief claims by sector in 2013-14. 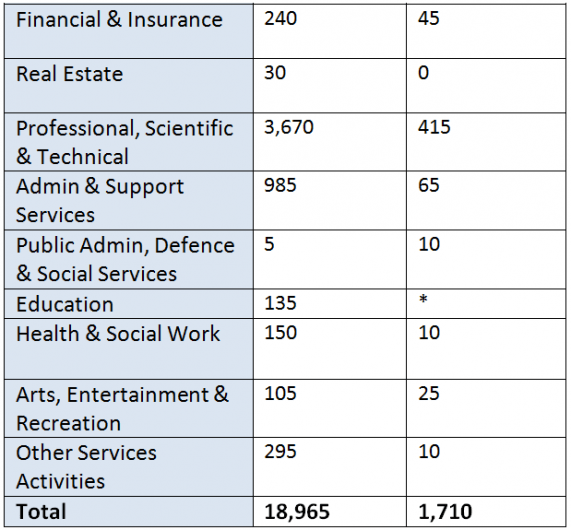 Figures exclude claims where industry sector is not known. Numbers are rounded to the nearest 5 and amounts are rounded to the nearest £5m.